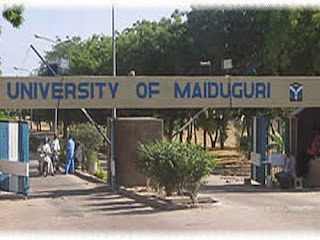 Authorities of the University of Maiduguri, UNIMAID has released the admission list of candidates offered provisional admission into the various degree programmes via Direct Entry for 2018/2019 academic session. UNIMAID Direct Entry Admission List contains the names of candidates offered provisional admission into UNIMAID various first degree programmes for the 2018/2019 academic session. 1. Prospective candidates can access the UNIMAID Direct Entry [1st Batch] Admission List in PDF by clicking on the link. 2. Prospective candidates can access the UNIMAID Direct Entry 2nd Batch Admission List in PDF by clicking on the link. 3. Prospective candidates can access the UNIMAID Direct Entry 3rd & Final Batch Batch Admission List in PDF by clicking on the link. NOTE: All UTME Candidates are to collect their Admission Letters from 30th October 2018.